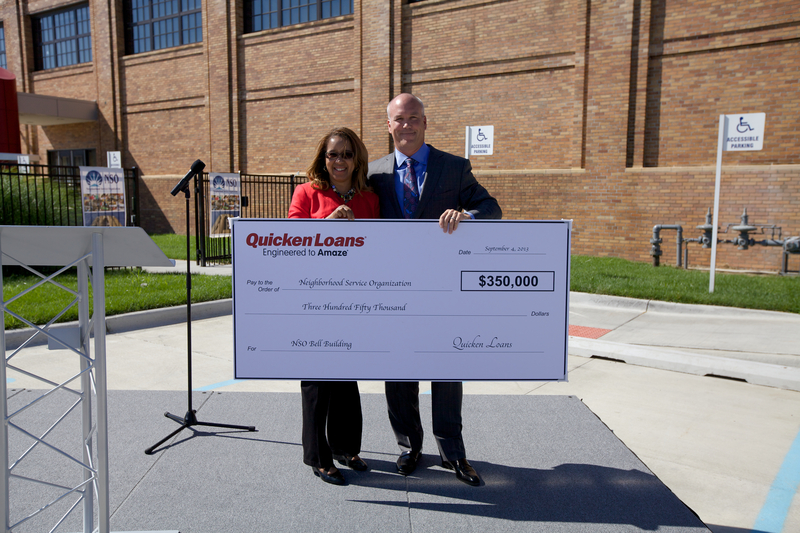 Sheilah Clay, NSO President and CEO and Bill Emerson, Quicken Loans Inc. CEO. DETROIT —Neighborhood Service Organization (NSO) announced Wednesday a partnership with Quicken Loans, the nation’s largest online home lender, as part of its efforts to fight homelessness in Detroit. Focused on being “always within reach,” NSO is a private, non-profit human service agency providing accessible and innovative human service programs designed to support and strengthen individuals and families and empowering communities. As part of its commitment to Detroit’s neighborhoods, Quicken Loans has partnered with NSO to help finish renovating the former Michigan Bell Building into permanent, supportive housing for homeless adults as well as a health clinic for the community. The NSO Bell Building includes 155 furnished 500 square-foot apartments, as well as a gym, library, computer room, library, art and music rooms and a chapel. NSO provides intensive case management, mental health and addiction treatment, financial literacy, community engagement activities, and other on-site support in one location to better help residents restore their lives. NSO’s headquarters are also now located within the Bell Building along with their Older Adult Services and Emergency Telephone Crisis and Suicide Prevention Services programs. Since 1955, Neighborhood Service Organization (NSO) has been reaching out to people across metropolitan Detroit by strengthening and empowering neighborhoods, supporting families and helping people in need. Over the years, the scope and variety of services offered have grown into a network of sophisticated, vertically integrated programs that have received local, statewide and national recognition. For more information about NSO, visit http://www.nso-mi.org. 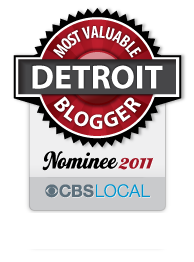 Detroit-based Quicken Loans Inc. is the nation’s largest online home lender and the country’s third largest retail home mortgage lender. The company closed a record $70 billion of volume across all 50 states in 2012. Quicken Loans generates loan production from web centers located in Detroit, Cleveland and Scottsdale, Arizona. The company also operates a centralized loan processing facility in Detroit, as well as its San Diego-based One Reverse Mortgage unit. Quicken Loans ranked #1 in customer satisfaction among all home mortgage lenders in the United States by J.D. Power and Associates in 2010, 2011 and 2012. This entry was posted in Detroit and tagged art, detroit, help, homelessness, living, Michigan, music, neighborhood, quicken loans, quizzle, renovation. Bookmark the permalink.